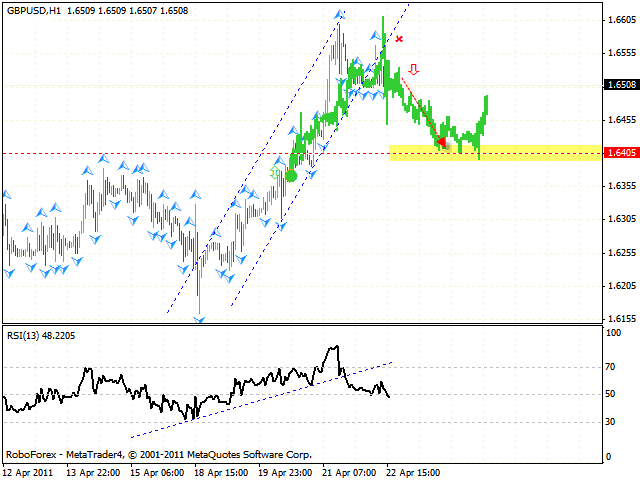 In case of the EUR/USD currency pair the price keeps moving downwards to the level of 1.42. At the moment the RSI is moving away from the trend’s broken line, the value of the indicator has not grown higher than 70. One should expect the price to fall and wait for the signals to sell the pair at shorter periods of time. At the hourly chart of the pair we have “head & shoulders” reversal pattern forming with the target in the area of 1.4390. One can try to sell the pair with the tight stop above 1.4595 and consider increasing the amount of short positions only after the price breaks the level of 1.4530. 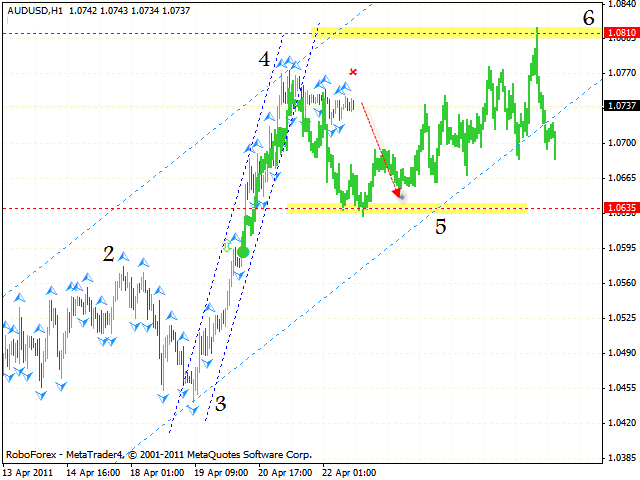 One can also try to sell Pound with the tight stop above 1.6560. 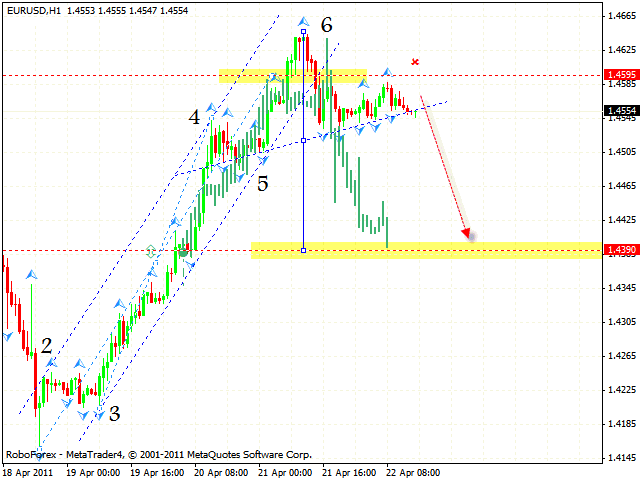 The target of the fall is the area of 1.6405. 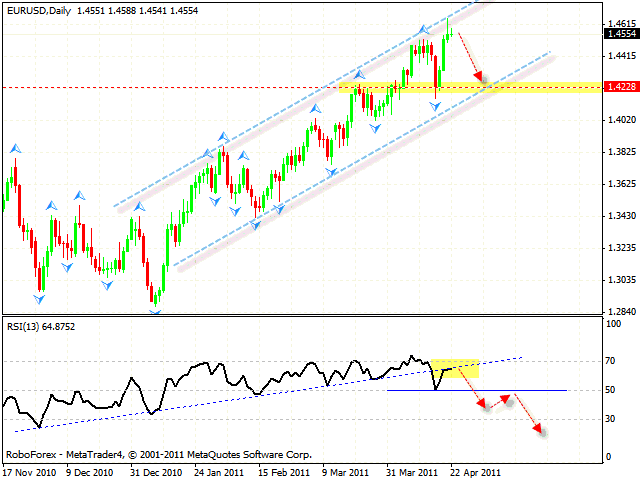 The price breaking the trend’s rising line at the RSI is an additional signal to sell the pair. In case of EUR/JPY currency pair we have the descending pattern forming with the target in the area of 118.49, one can try to sell the pair with the tight stop. 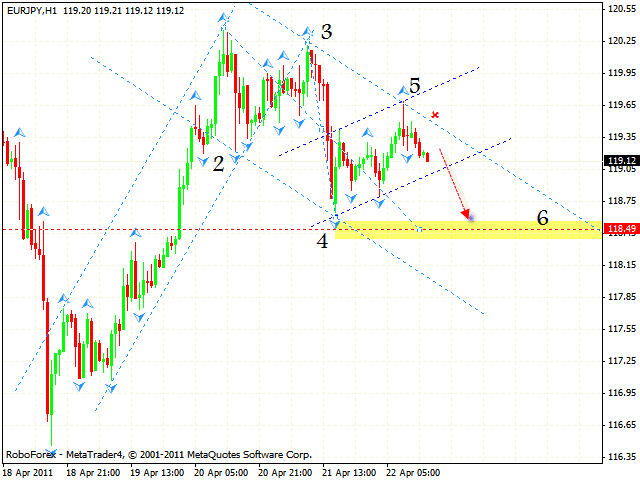 If the price leaves the descending channel, this case scenario will be cancelled. Australian Dollar has left the rising channel. At the moment we should expect the price to fall to the level of 1.0635 where we can consider buying the pair with the target in the area of 1.0810. If the price breaks the channel’s lower border, this case scenario will be cancelled.